I was really craving something sweet and comforting and had nothing but some sweet potato in my pantry. I wondered, how can I get these into a cookie? I know lots of people have been doing the sweet potato brownie thing, but I wanted to highlight the flavour of the sweet potato instead of masking it. They have the best texture and the sweetest earthy flavour that truly satisfies both the sweet and savoury tooth. What better highlights sweet potato in a dessert than sweet potato pie? 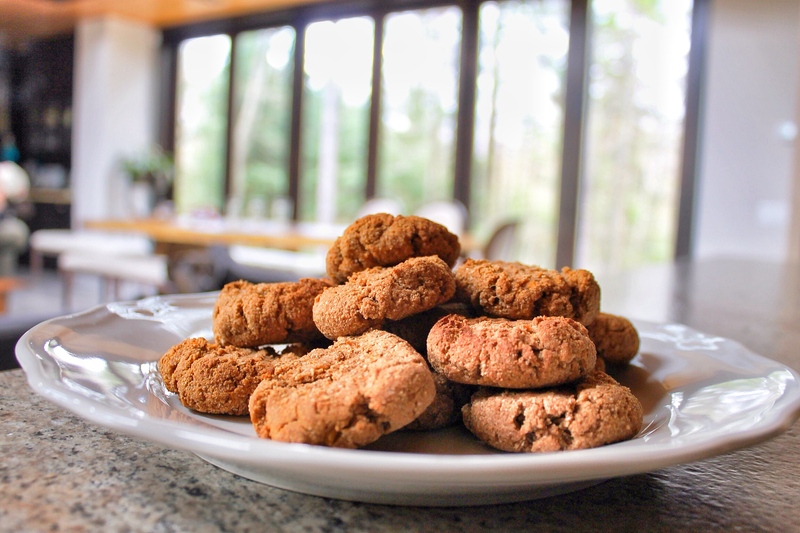 I know sweet potato pie is a classic Thanksgiving dish, so these cookies give you a chance to get those flavours year round without the butter, flour and oil. These nutrient packed potatoes give you good source of dietary fiber, vitamin b6 and potassium, vitamin a, vitamin c and manganese. 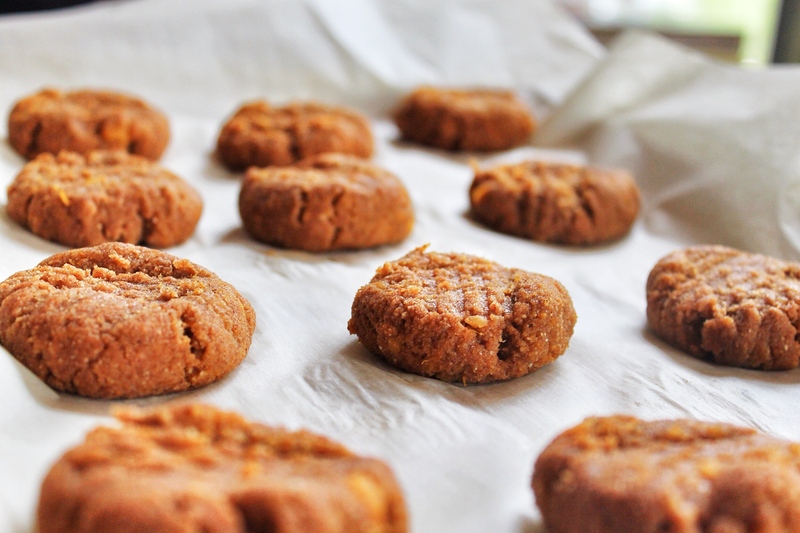 Sweet potatoes are high in carbohydrates so these cookies are good easy pre or post workout snack with a little extra maple cinnamon almond butter on top… YUM! These cookies are extremely soft and not to sweet, plus they are super simple to make. If you like cookies on the sweeter side I reccomend doubling the syrup or honey. 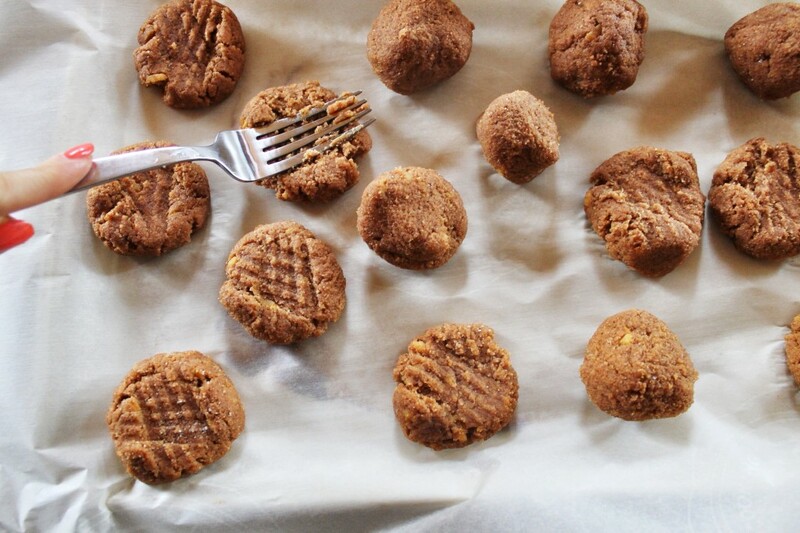 As always these cookies are gluten, dairy and refined sugar free. They also don’t have any added oil, or grain. 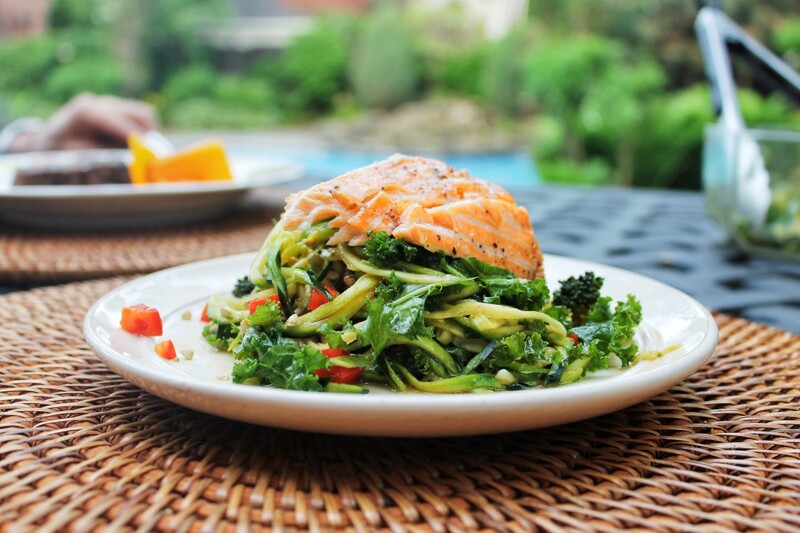 So they are also perfect for those following the paleo diet. Hope you enjoy! Have a wonderful weekend. 1. Preheat oven to 350. 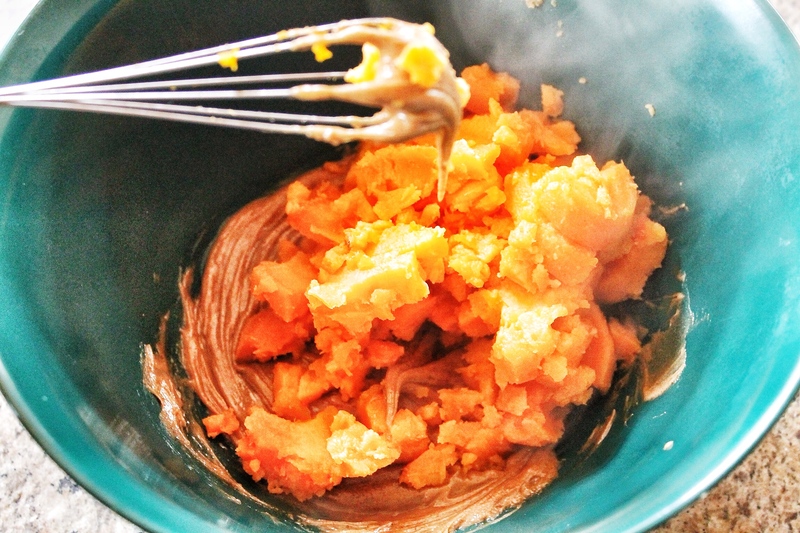 Steam or boil sweet potatoes until easily pierced with a fork, then mash. 2. 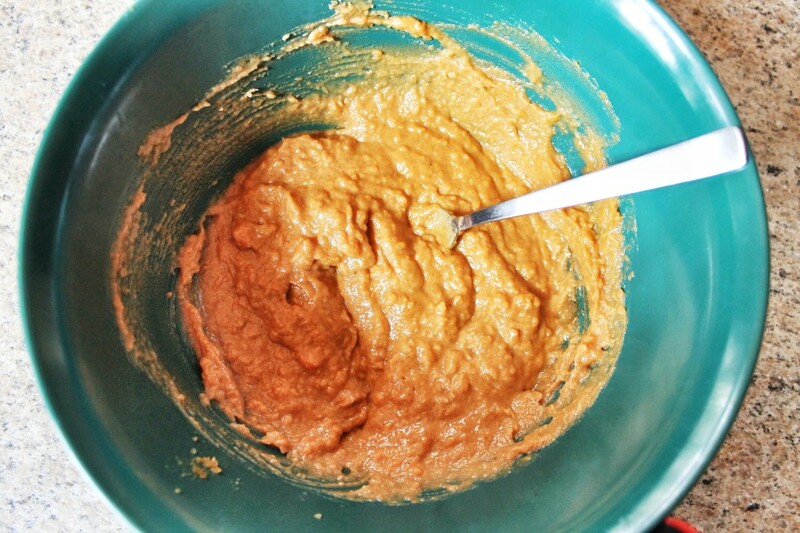 To the mashed sweet potato add maple syrup and almond butter and stir until combined. Then add spices, almond flour baking soda and salt. 3. Line a cookie sheet with parchment. Form dough into balls, place on parchment and press with a fork. 4. 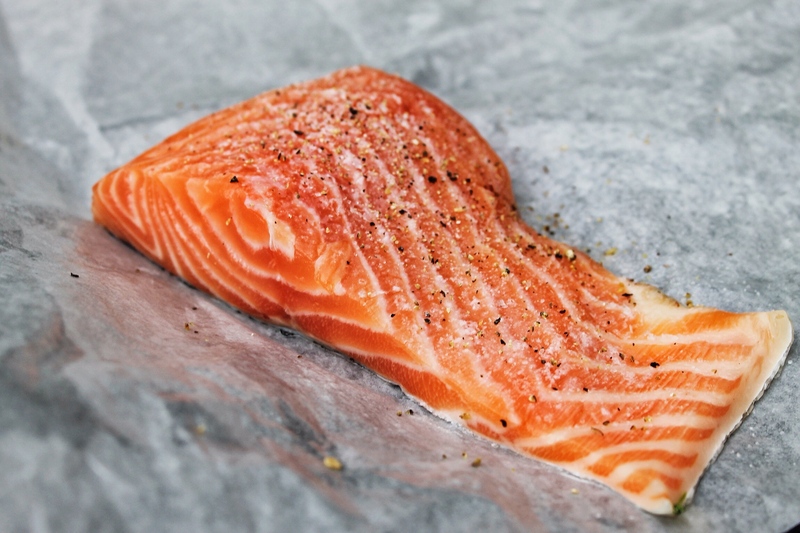 Bake for 40-45 minutes or until slightly browned. Happy Mothers Day! 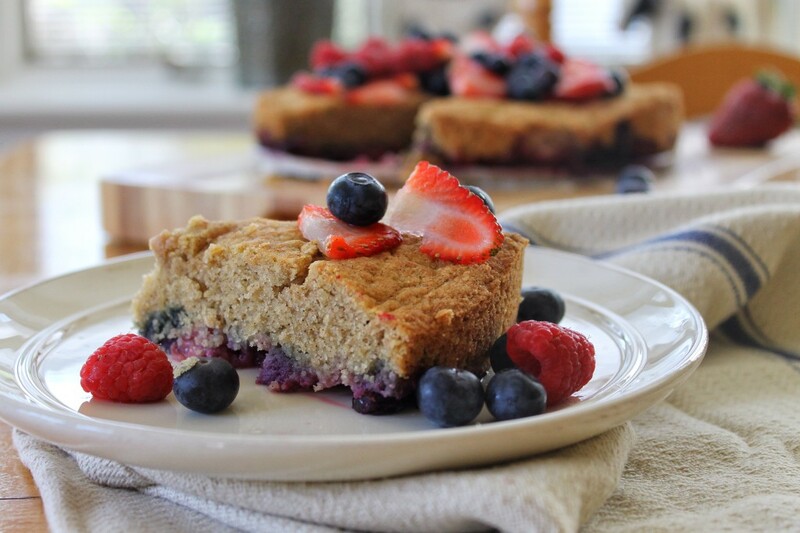 In honor of my amazing mom, I will be sharing my recipe for her favourite cornmeal berry cake. I have been making this scrumptious cake for her for years. I have even poured the same batter into muffin tins! It is not overly sweet and is a perfect light end to a meal (or start to a day…). 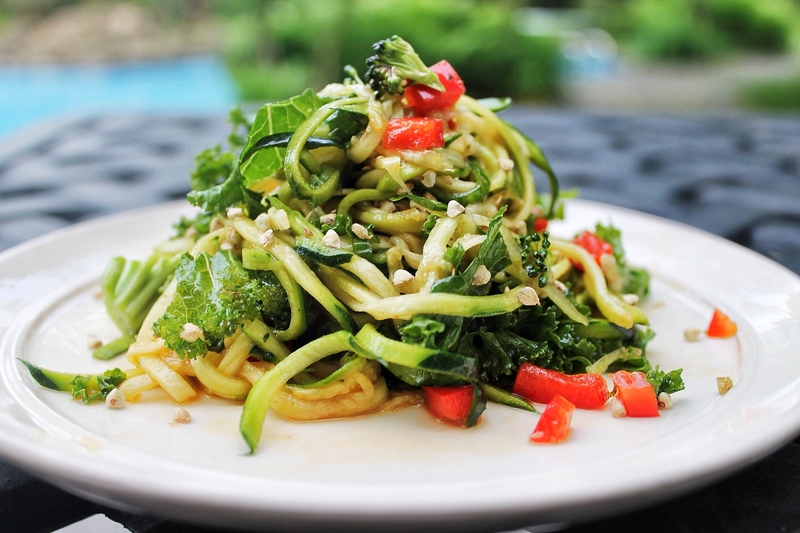 I am actually going to be sharing not one but TWO versions of this recipe.. one that is lower on the carb scale, and the other a more simple approach for all you new gluten free folks out there. 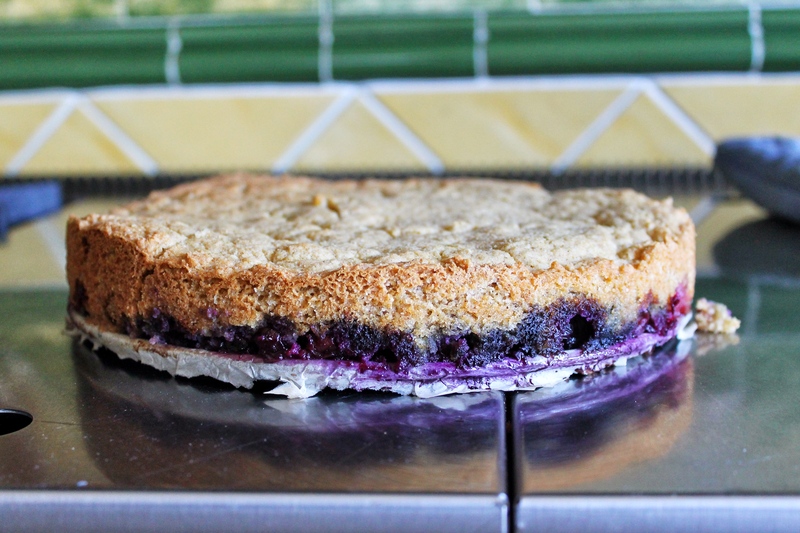 I make both versions of this cake depending on what I have in my pantry, but both are equally as good. This cake can be turned upside for that cool psychedelic berry look, but I prefer to leave mine right side up! 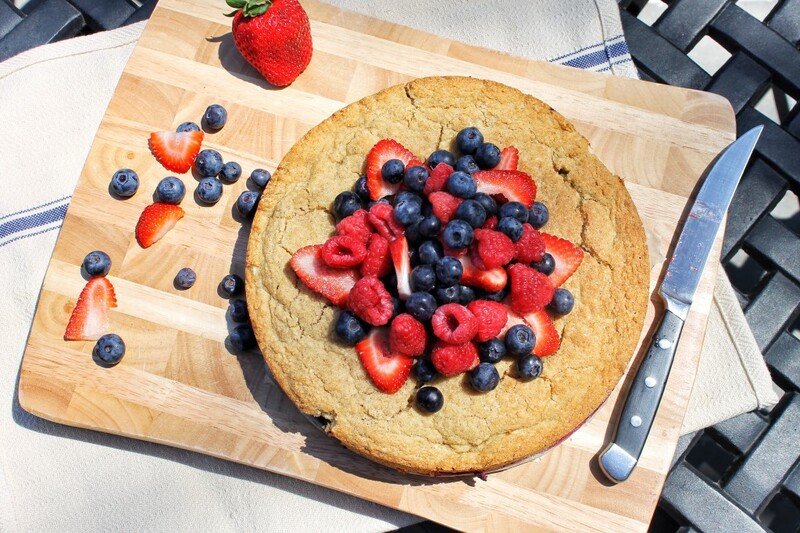 I really think it is most beautiful left with that warm berry stained cake bottom with fresh berries contrasting nicely on the crisp top. This cake is fantastic with some coconut milk ice cream but it would also go great with some coconut whipped cream or drizzled with pure maple syrup(yum)! Personally, I enjoy the cake as is. Remember that if you are not dairy free, gluten free etc… feel free to replace with your own flours, sugars, milk etc… Likewise if you are vegan, replace the eggs with 1 tbsp of chia/flax to 3 tbsp almond milk for each egg. 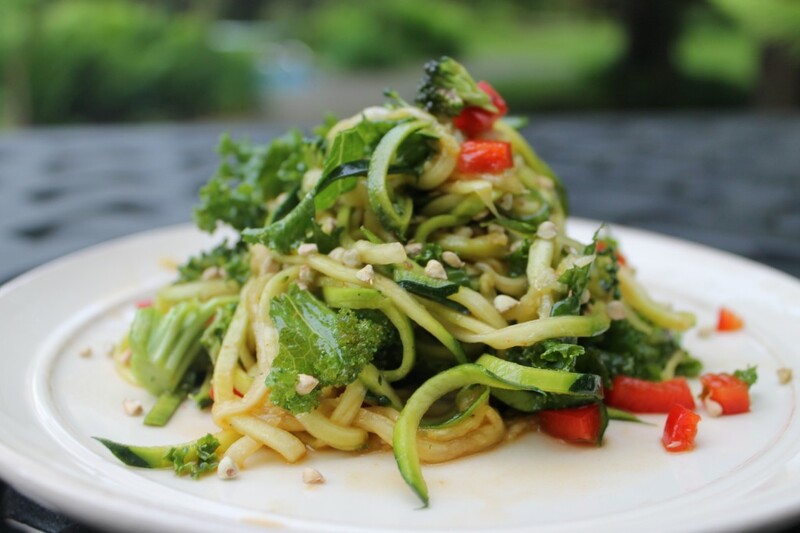 As always, my recipe is gluten, dairy and refined sugar free! Hope you all enjoy, and show your mom how much you appreciate everything she does! **The low carb version will have a more solid batter. It will look more like cookie dough, don’t be alarmed! or for the regular version…. 2. 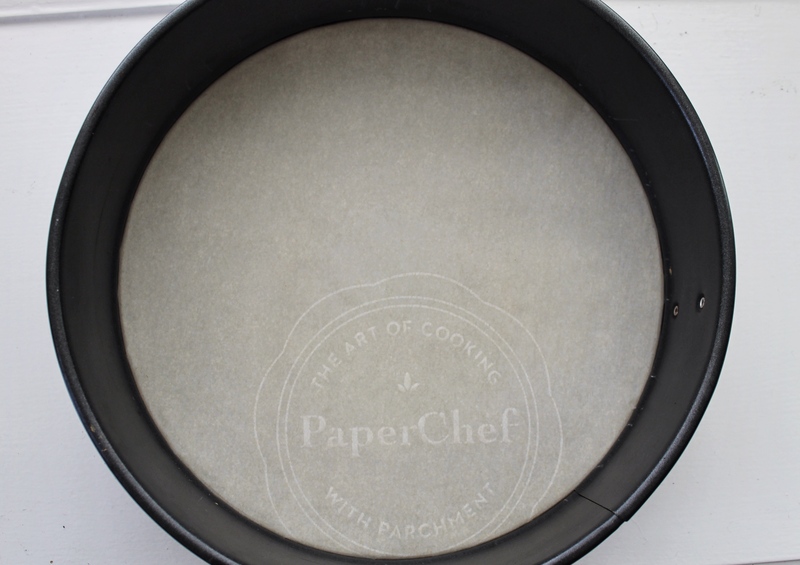 Line springform or 8 inch cake pan with parchment paper and then grease with coconut oil. 3. 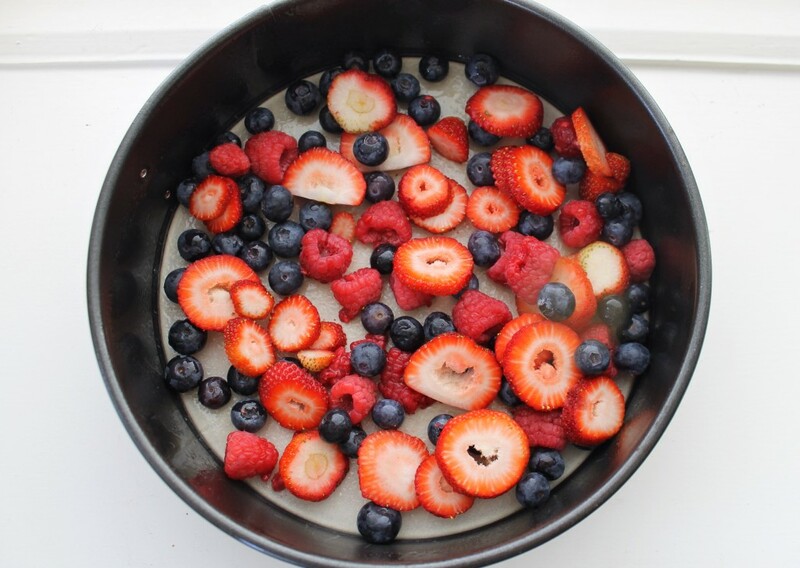 Arrange half of the berries on the bottom of the pan. Set aside. 4.In a medium sized bowl stir together flours, cornmeal,xylitol, cinnamon, baking powder, and salt. Set aside. 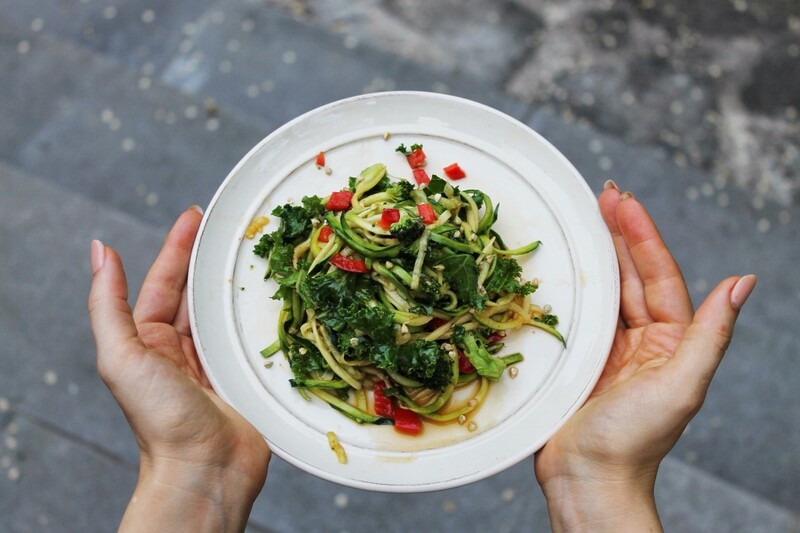 5.In another bowl whisk together eggs, almond milk, vanilla and coconut oil. Add egg mixture all at once to flour mixture. Stir until combined; spread evenly over prepared pan of berries. ** the low carb version will have a thicker batter. Use your hands to spread the mixture across the pan to cover berries. 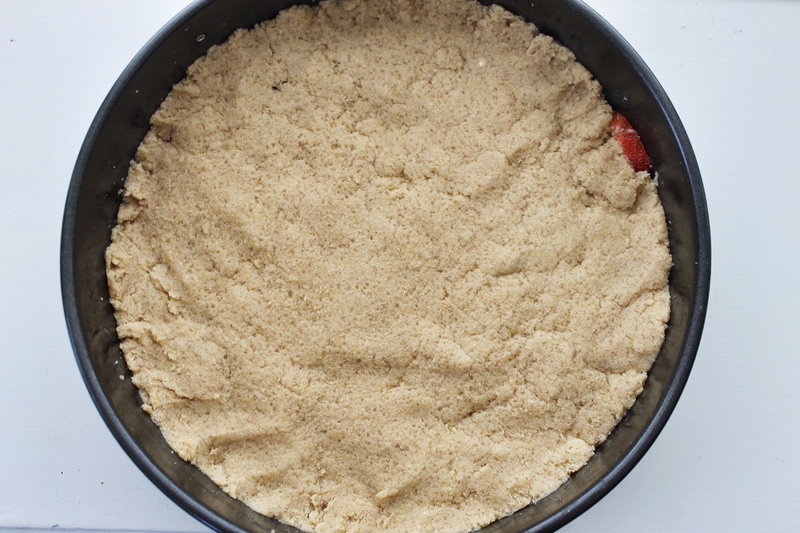 6.Bake 40 to 45 minutes or until pick inserted near center comes out clean and top is golden. Cool for 5 minutes. Run knife around edge of the pan to loosen sides and remove from pan. Let the cake finish cooling on a wire rack. 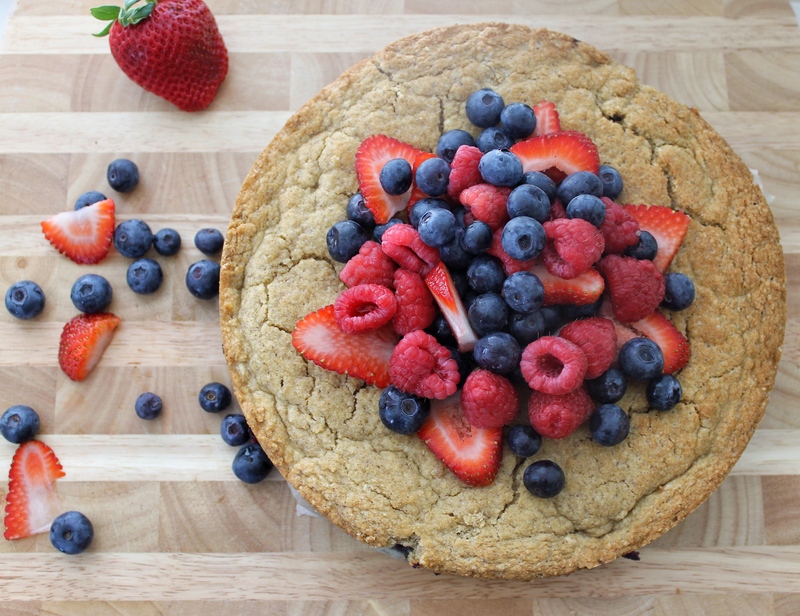 Top with berries and serve plain or with recommended toppings!